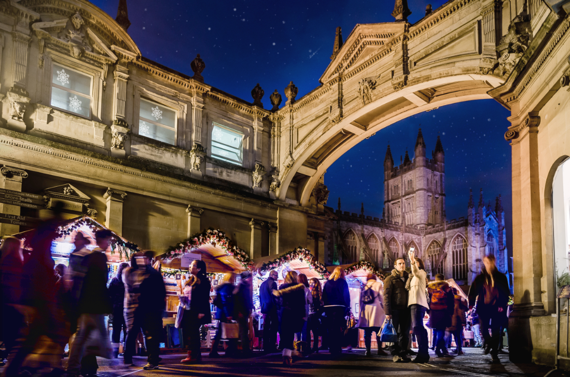 The largest Christmas shopping event in the South West with over 200 Alpine-esque chalets (30 more than last year), Bath Christmas Market not only has an enchanted feel, it’s the place to go for high-quality artisan products. A staggering 99% of everything on sale here has been hand-crafted by the stallholders themselves. Beneath the twinkling lights adorning each chalet, you’ll find beautifully-made clothing and jewellery, toys and homeware, personalised presents and local artwork, and much more. Have a meander, mulled wine in hand, and be transported by live music. In between spells of shopping, feast on world food from Cantonese dumplings to Alpine-style mac and cheese. 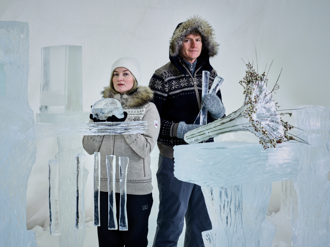 Unless you’re an eskimo, or of Scandi stock, you may be surprised to know that musical instruments made out of ice is actually ‘a thing’. At London’s Royal Festival Hall, Terje Isungset, one of Europe’s most accomplished and innovative percussionists, will perform an ethereal-sounding set using strange and wonderful instruments – such as glocks and horns – which he has sculpted from large blocks of solid ice. The Norwegian musician, whose work takes jazz and Nordic music into another dimension, will be accompanied by vocalist Maria Skranes. The same sounds will never be played again; the notes made by ice instruments change from day to day, depending, of course, on temperature. 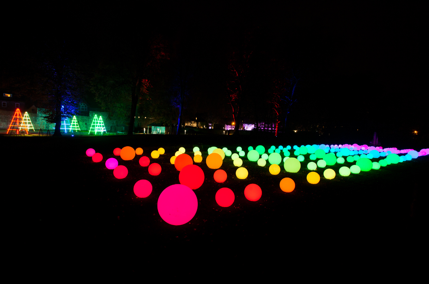 For the first time ever, York Museum Gardens has been transformed into an extraordinary after-dark experience. The team from Lunchbox Theatrical Productions is responsible for weaving a wondrous hour-long, illuminated trail through ten acres of botanical gardens. This is the biggest display of sound, lighting and special effects York has ever seen, from entrancing neon displays and LED trees to the projection of traditional Christmas scenes onto the ruins of medieval St. Mary’s Abbey. Quite simply, it’s a scintillating explosion of seasonal colour, plus a vintage funfair ride, festive face painting, Yorkshire-made pies and spiced cider. A rich gaze into how Christmastide was celebrated Victorian-style, at Kentwell you’ll not only see how a magnificent country house would have been festively decorated, but also meet the members of a typical upper-class family and the hierarchy of servants entrusted with managing the resident family’s needs. 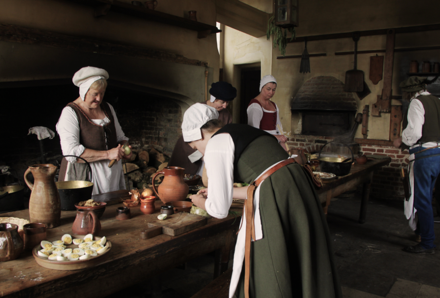 Dickens himself, accompanied by Scrooge and various spirits, will present an abridged version of A Christmas Carol; Cook will be preparing an array of traditional Christmas dishes; and carols will be sung by lantern-light in The Tudor Stables. Nothing nicer than a bit of Christmas baking; the aromas of warm spices and buttery mince pies, festive bread to fashion and delicious biscuits to decorate. At Winchester City Mill, a rare surviving example of an urban working corn mill, young and old can learn to make seasonal treats. 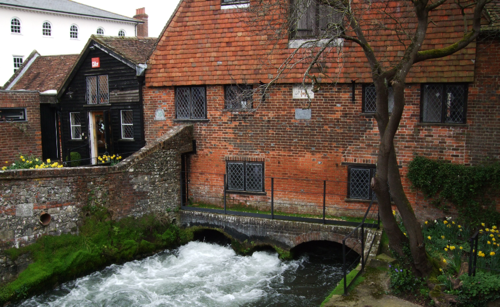 Sitting astride Hampshire’s fast-flowing River Itchen, and dating back over a thousand years, the Mill – painstakingly restored by the National Trust – produces its own wholesome stoneground flour. You can sleep soundly knowing that your visit directly supports the Mill and helps to keep it open.